The 10th Annual Shower Strike is Here! Every year, hundreds of people around the world #ShowerStrike to transform lives through clean water. Together, Shower Strikers have raised over $1,000,000 to build wells and water systems in east Africa and have been able to provide water to more than 100,000 people. Join the #ShowerStrike or make a donation, and help solve the water crisis. For every $10 we raise, one more person gains access to clean and lasting water. 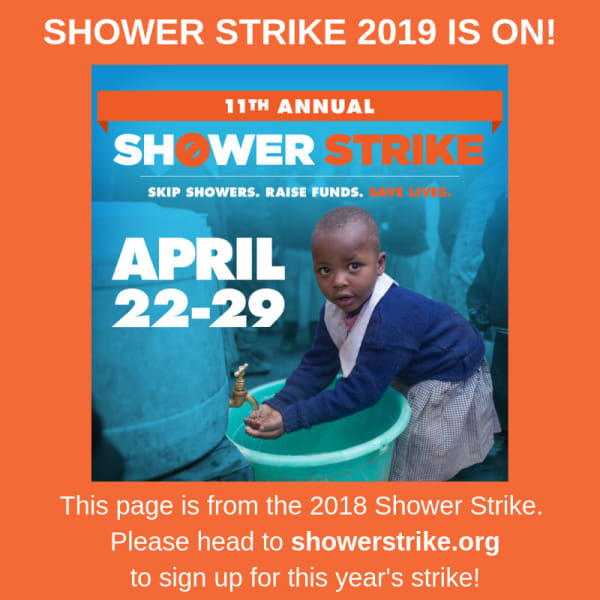 Volunteers across the globe unite and promise not to shower during Shower Strike (April 22nd-29th) until they have met their fundraising goal for building water systems in Africa**. Our nationally-recognized fundraiser enables anyone who wants to help Well Aware’s cause make a big impact in a short time. You can participate as an individual or as part of a team. And- we make it easy for you! We provide you with all the support, resources, and love you need to raise life-saving funds easily and have a successful #ShowerStrike. Step 1. Join the Shower Strike. Step 2. Set your fundraising goal. Step 3. Invite your friends, neighbors, family and coworkers to support you and donate. **Do you want to participate in Shower Strike, but also still want to shower? No problem! You can still join and help raise money to build life-saving and community transforming wells in east Africa. Cheeky Spoof of Hitchcock's "Psycho"
Actress and writer, Mary Elizabeth Ellis Day, teams up with director, Mo Perkins, to join us for a cheeky spoof of Hitchcock's "Psycho" to raise awareness for our annual Shower Strike campaign, which funds clean water systems in east Africa. 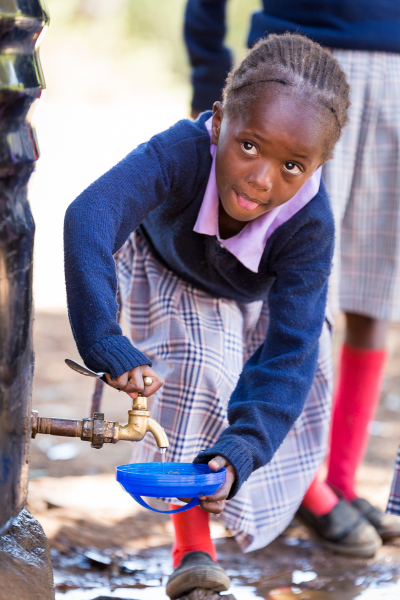 Well Aware is a 501(c)3 nonprofit organization with headquarters in Austin, Texas that provides innovative and sustainable solutions to water scarcity and contamination in Africa. We fund and implement life-saving water systems to drive economic development and build self-sufficient communities. 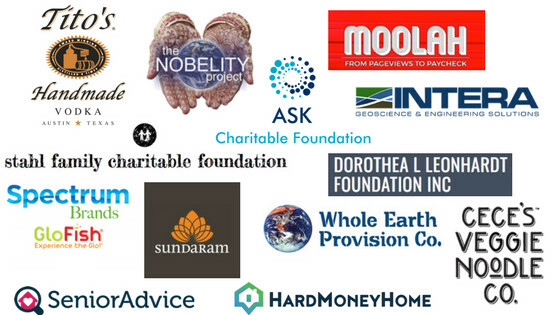 At Well Aware, our responsibility to the communities in which we work goes far beyond the drilling of a hole. We couldn't do it without our sponsors. For information about sponsoring the 2018 Shower Strike, visit our Become a Sponsor page.